1. 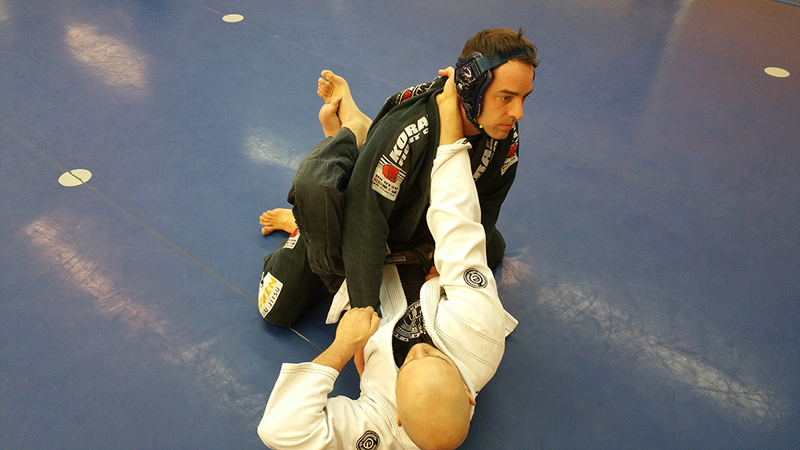 The closed guard is good for opponents who are on their knees and will help to prevent them from passing your guard because they must first break open your guard and then fight the legs to pass. Wrap your legs around your opponent and close your ankles. Reach your hand deep in his right collar with your right hand. Pull his right arm at the sleeve with your left hand. 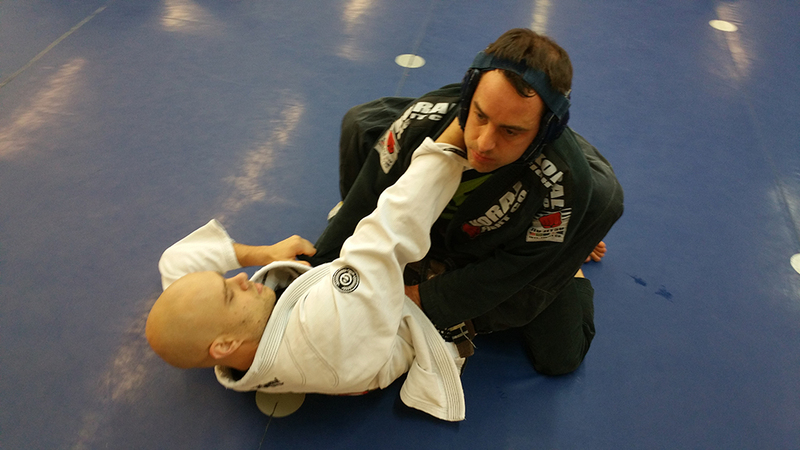 When doing closed guard it is always helpful to grab your opponent at the collar. This will help control his posture and insures you are now set up for a choke and an arm bar combo. 2. 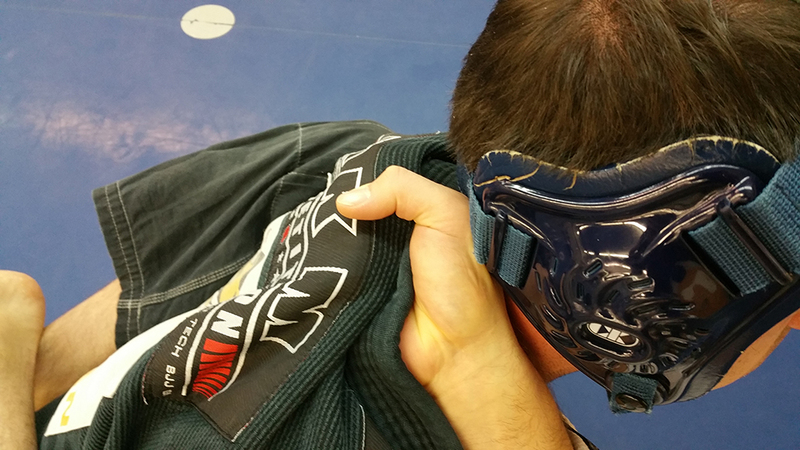 This is another view of closed guard. 3. 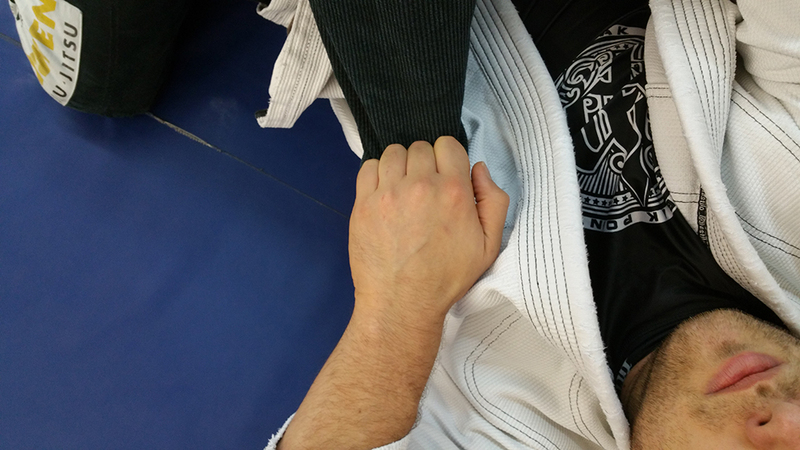 Grab the opponents collar deep at the base of the spine. The lower you grab the collar the less chance you will choke him and the easier it is for him to stand. 4. The grip in the sleeve should be 4 fingers (Notice the thumb is not involved) and the fabric on the pad of your hand and not in the palm. Your elbow should be pulled to your ear. This will control him momentarily so that you may move into your attack.